We are pleased to present today a new product in the line of the classroom management software solutions Net Control 2 Classroom, a user module for the Apple Mac OS X platform. The new product greatly expands capabilities of Net Control 2 Mobile Client used on this platform previously, and, being specially designed for OS X, it provides a significantly more effective way for teaching, monitoring and co-working in classrooms equipped with Apple’s Mac computers, which use OS X operating system. The Mac OS X user module is compatible with OS X versions 10.9 – 10.13 (Mavericks – High Sierra), and can be used on any hardware that is compatible with these operating systems. Currently, the student module is available only in English, localization of the user interface into other languages ​​is planned in the near future. The Student Module for OS X can work with the teacher modules running on OS X or Windows. 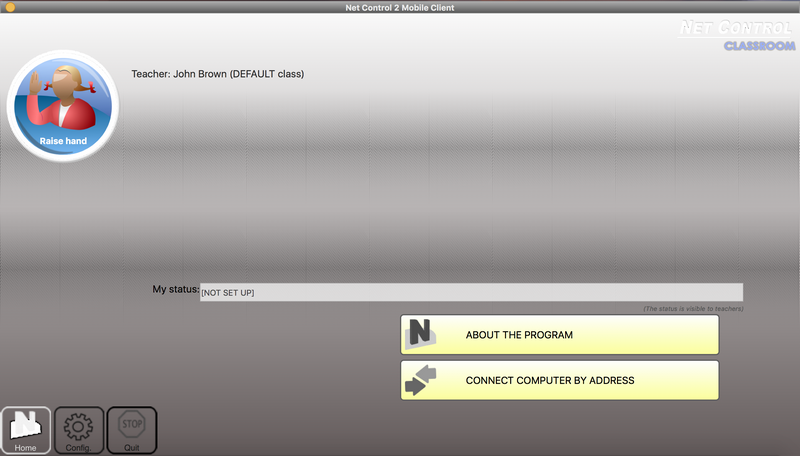 The Student Module for Mac OS X is already available for all registered users of Net Control 2 Classroom version 12 in the Downloads section of your Customer Area account.